I love the tartness of cranberries, so when I tasted this pie and thought it too sweet, I decided not to post the recipe. John, on the other hand loved it and ate every last piece. So, on his recommendation, I am sharing it. 2) Combine sugar and cornstarch in a medium pot; whisk well. Add water and bring to a boil over high heat, whisking constantly. Cook until mixture thickens, stirring, about 5 minutes. 3) Add cranberries, raisins, and butter; cook 4 minutes, stirring occasionally. 4) Pour cranberry mixture into prepared pie shell. Bake 35 minutes, until crust is golden and filling is bubbly. Cool 15 minutes before serving. I wish I could have a slice ! 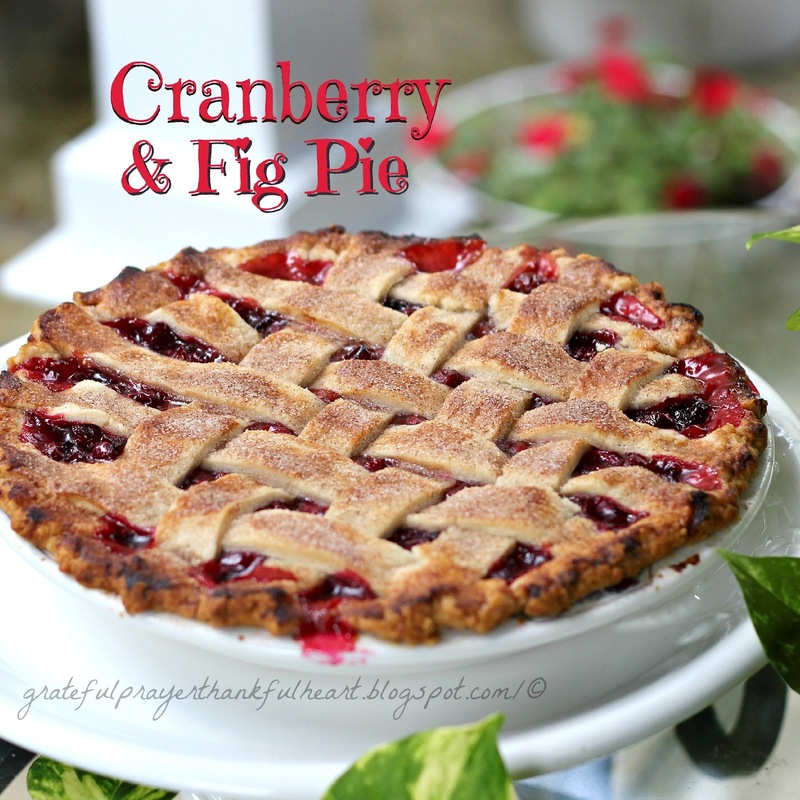 I love cranberries and this pie looks wonderful! I want to come to your house! This looks so good. That looks delicious. I'll have to see if I can get some figs. *Your* is what I meant to say–sorry my own typos are a pet-peeve! I'm with Barbara. 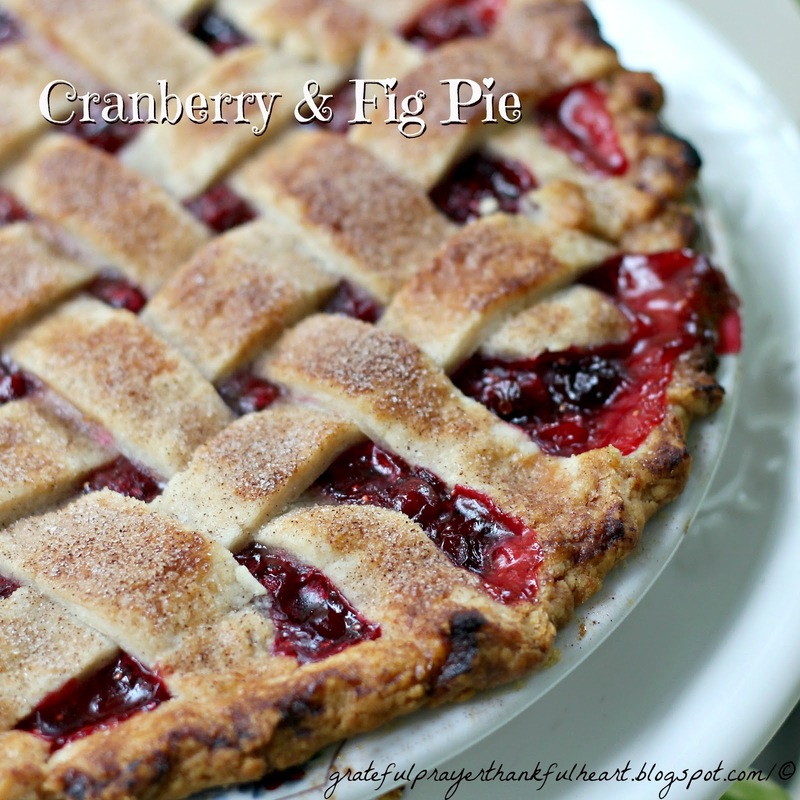 I love cranberries and I love figs — they've been yummy this year — and this pie looks great. It sure looks delicious! Have a nice week. Your pie looks BEAUTIFUL! I love both figs and cranberries, and would never have thought of this combination but it sounds wonderfully delicious!